TAI NATIONAL PARK, Côte d’Ivoire, May 9 2014 (IPS) - Jonas Sanhin Touan has big dreams. As he sits under a canopy, he greets the rare tourist to Gouleako, one of the many villages near the entrance of Côte d’Ivoire’s Taï National Park, with a meal. He hopes to raise the money to build a hotel on the three hectares of land he has purchased. “Here will be the restaurant,” the man everyone calls Aimée tells IPS, pointing to what is still bush. The Taï National Park is a rare forest, one of the last intact tropical rain forests in West Africa. Stretching some 3,300 square kilometres, it is the region’s biggest tropical forest and also a United Nations Educational, Scientific and Cultural Organisation World Heritage site. But there are obstacles to Touan’s dream. Situated in southwestern Côte d’Ivoire, the park lies close to Liberia border and is only accessible by a seven-hour drive on pot-holed path from Abidjan, the country’s economic capital. A lack of reliable public transport, conflict and sporadic violence are other threats to Touan’s dream. So too is encroaching deforestation. To reach this remote area from Abidjan one has to cross several classified forests, of which 80 percent have already been cut down, according the government. Instead of the lush tropical vegetation that once covered the area, there are now carefully-planted fields, mostly of cocoa, but also of coffee, rubber and palm oil trees. But ecotourism may just be the solution for a community in search of a better and sustainable future. 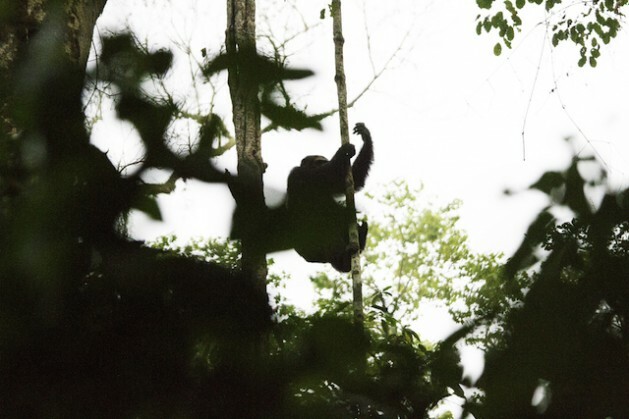 Since January 2014, about a hundred tourists have been part of a tour organised by the Wild Chimpanzee Foundation (WCF) and the Ivorian forest protection department, known by its French acronym, OIPR. However, it is still in its early stages, and the numbers of tourists it attracts are modest. “Of course, this will take time. But this area is beautiful. I think that ecotourism will bring desperately-needed money,” says Touan. Currently, 80 percent of villagers earn their living through cocoa, making about 1,5 million CFA (about 3,185 dollars) per household annually. But demographic pressure usually results in people burning down forests in order to increase their cocoa harvesting area. The forest’s chimpanzee population has declined by about 80 percent in the last two decades, according the World Wide Fund for Nature. And four other species from this forest are also on the red list of threatened species: pygmy hippopotamus, olive colobus monkeys, leopards and jentink’s duiker, a forest-dwelling duiker. Poachers are partly responsible for this disappearance, but the destruction of the forest remains the main reason for the decline. “The pressure around the park is very important,” Christophe Boesch, a primatology professor and WCF’s West Africa director, tells IPS. He sees the current migration of people from the northern regions of Côte d’Ivoire, and from neighbouring countries like Burkina Faso and Mali, as a direct consequence of global warming. “West Africa faced dramatic climate changes in the last 50 to 60 years. The Sahel region has become a desert. This creates a dramatic demographic explosion in Côte d’Ivoire,” he explains. This flow of workers made Côte d’Ivoire the world’s biggest cocoa producer, but at the cost of Ivorian forests. 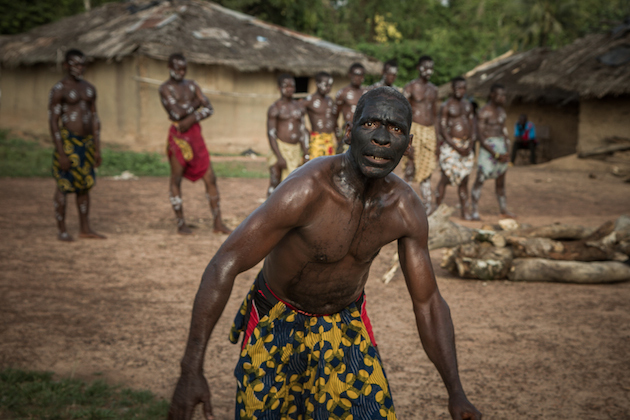 In Gouleako, the villagers perform a traditional ceremony for the half a dozen tourists seated on couches, being served palm wine. The tourists will soon be transported to the OIPR-run eco hotel in Djouroutou, a nearby town. Later, they will be guided along the muddy trails of the Taï National Park to see the chimpanzees or take a ride on the Cavally River, which divides Liberia and Côte d’Ivoire. OIPR and WCF hope that by boosting ecotourism, locals will see the economic value of preserving the forest, and the several unique species that it shelters. “We hope by this project to teach people, more the local population than the tourists, about the added-value of a forest,” Emmanuelle Normand, WCF’s country director, tells IPS. WCF says that several projects have proven to aid the survival of endangered species including in forests in the Great Lake regions. Valentin Emmanuel, the deputy chief of Gouleako, remembers a time when he was still a kid when elephants crossed rice paddies and chimpanzees came out from the forest to play in cocoa trees. “Before, we were living with the wildlife close to us. Now, you have to go far away, deep into the forest, to see that,” he tells IPS. While he may be one of the majority of villagers who earn their livelihood from cocoa, he knows that the only way to return the forest to what it was during his childhood is to introduce more people to it. Touan knows it too. “Cocoa planters have a very difficult life. Ecotourism is an opportunity for a better future,” says Touan.